Emerging TechnologyMobileIs it time for a QR code comeback? A few years ago, QR codes were everywhere. But due to a combination of poor implementation, subpar technology, and a lack of native support, they largely went out of fashion. However, in an increasingly mobile world, signs are showing that the time might be right for a QR code comeback. Remember QR codes? Those blocky, black-and-white graphics that take you to a URL when scanned with your phone were everywhere from about 2011 to 2013. Brands splashed them across posters, put them in shop windows and integrated them into creative advertising. But despite the ostensible usefulness of QR codes in linking the offline and online worlds, QR codes have since mostly died out, due to a combination of poor implementation, subpar technology, and a lack of native support for QR codes in smartphones. In the meantime, QR codes have taken off in China in a way they never achieved in the west, where they’re used for everything from payments to exchanging personal details, proving that it’s possible to make a success of QR codes when they’re approached with a truly mobile-first mindset. Since the demise of QR codes, we’ve managed to get by with things like shortened URLs, but nothing has quite lived up to the early promise of QR codes. However, a few resilient brands have proven that QR codes still have a role to play in mobile marketing – and with Google and Apple both having recently introduced native support for QR codes, signs are indicating that the time might be ripe for a QR code comeback. Why did QR codes die out? The principle behind QR codes is pretty solid: they’re effectively a gateway to the online world that you can open with your phone. A quick scan of the pattern and you’ll be taken straight to a webpage, with no fiddling around on a tiny phone keyboard trying to type in a URL. Except that in practice, QR codes didn’t quite work like that. First of all, the early QR codes were extremely finicky about being scanned; you had to hold your phone perfectly still for quite some time in order for them to register, or the scan would fail. 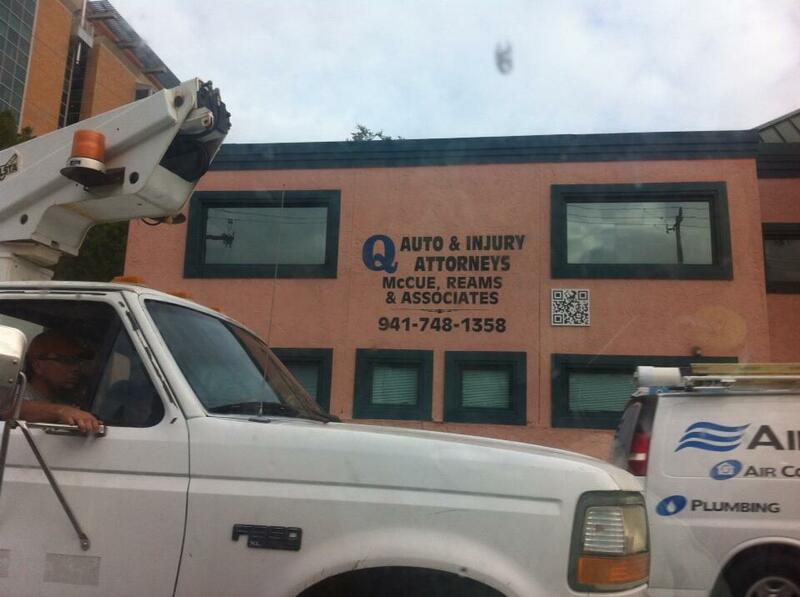 If you were moving, or the QR code was fuzzy or only visible for a short period of time, it just wouldn’t work. Which made it a shame that a lot of brands and advertisers decided to place their QR codes in places that it was difficult to scan: alongside a moving walkway, for example, or on a distant billboard or train platform, or even underground, where there was no point trying to open a webpage even if the scan worked. And that was assuming you got to the point of being able to scan a code: at the time of the QR code hype, no smartphones had native support for scanning QR codes, meaning that you needed to download a separate app just to be able to scan them – massively increasing the friction around something that was supposed to make the act of launching a mobile webpage quick and easy. The lack of technological finesse behind QR codes, combined with the lack of native support, poor planning, and the fact that many QR codes also didn’t lead to a webpage that was properly optimized for mobile meant that the demise of QR codes was swift and inevitable. Many industry commentators will insist that QR codes are dead for good, and that there could never be a convincing enough case to justify using QR codes over something like a short URL or Near-Field Communication. But we only have to look at China to see what can truly be achieved with QR codes given the right support. QR codes in China have effectively managed to succeed in every way that they fell down in the west. QR codes in China are convenient, quick and painless to use, lead to experiences and services that are designed specifically for mobile, and most importantly, they have native support via one of China’s most ubiquitous apps: WeChat. WeChat is one of China’s most popular messaging apps, with more than 900 million monthly active users mostly concentrated inside the country. So when an app that’s installed on virtually every smartphone in China has in-built support for QR codes, you’ve effectively got native support for QR. Add to that the fact that WeChat is much more than just a messaging app – it has in-built functionality for making payments, transferring money, hailing a cab, hiring a bike, and donating to charity to name just a few – and you start to see how WeChat became a game-changer for the uptake of QR in China. Scan a QR code with WeChat, and you can do almost anything. But the QR code revolution in China came about through a specific combination of factors, most of which aren’t present in the west. So how could QR codes stage a comeback in other parts of the world? One of the biggest things that separates China – and much of East Asia – from countries like the USA, the UK and Australia is a truly mobile-first mentality. Whereas western countries moved gradually from PCs to laptops and finally to smartphones and tablets, China went straight to mobile, and thus they approach the internet with a mobile-first – if not mobile-only – mindset. While we in the west have evolved much more slowly towards mobile, things have reached the point where brands need to crack a mobile-first approach to marketing or risk falling by the wayside. QR codes could be the key to achieving this, and the environment for widespread QR code adoption is much more friendly now in 2017 than it was back in 2011. Let’s review the factors that led to the failure of QR codes four or five years ago, and examine how things are or could be different now. A lot of the early problems with QR code marketing campaigns came from poorly-thought-out code placement, but this is one of the easiest mistakes to learn from. The early QR codes were extremely slow and finicky to scan, and required users to line up their smartphones exactly and hold them completely still in order for the scan to work. But technology has come a long way since then, and we could undoubtedly improve on our ability to scan QR codes in order to reduce a lot of the friction around using them. It would take a bit of initial investment and commitment to developing the tech to make QR codes really great, but the case of China shows how worthwhile it can be. The mobile web has also come a long way since 2011, and brands are now much more mobile-focused in their mindset, and thus better placed to create truly mobile-optimized campaigns and experiences. This is the big one that will ultimately make or break a QR code revival. All of the other factors will come as long as there is an incentive to make QR codes work, but for this, you need some kind of native support for QR codes. A couple of brands are already making a success of QR codes by integrating them with their existing mobile app. McDonald’s, for example, allows British consumers to order using its mobile app in select restaurants. After choosing their meal, customers ‘check in’ to the restaurant of their choice by scanning a QR code, which then confirms their order to the restaurant, who will start to prepare it. US retail giant Walmart has also been a keen adopter of QR codes. It first introduced QR codes to its paper receipts which customers could scan using the mobile app, uploading them as a digital receipt from which they could then create a shopping list. Walmart certainly has the kind of clout that could get millions of shoppers used to using QR codes to pay for their purchases, but its app is still standalone, and doesn’t integrate with other apps or brands in a way that could allow QR codes to be used for payments outside of Walmart. So how are QR codes going to break out of these single-brand silos to become more widespread? WhatsApp could be one way. With 1.2 billion monthly users across the globe, WhatsApp has a reach that is comparable to that of WeChat (if not as geographically concentrated), and it is working on implementing some of the features that make WeChat such an omnipresent part of daily life in China. For example, it is reportedly due to roll out a payment functionality – and it already has QR code scanning built-in thanks to WhatsApp Web. If WhatsApp (or more accurately Facebook, its parent company) chooses to go down that route, it could become the west’s answer to WeChat, and set itself apart from messaging competitors like Signal and Telegram by becoming the one to drive mainstream usage of QR codes. Two other big developments might tip the scale towards a true comeback of QR codes. Google Chrome has how introduced native support for QR codes into its iOS app, meaning that iPhone users who browse with Google Chrome now have the ability to scan QR codes built in and ready to go. Apple has also decided to introduce a QR code reader to its camera app in iOS 11, giving iPhone and iPad users on iOS 11 the ability to scan QR codes using their phone’s camera. There’s been no word from either of the tech giants over why they decided to introduce this functionality now, but maybe they know something we don’t. Either way, the potential is there for marketers to unlock, and if this native functionality extends to Android, there will be an even bigger cohort of ‘QR code-ready’ mobile users for brands to target using QR codes. While a QR code comeback isn’t going to happen overnight, we no longer have most of the problems that caused QR codes to die out several years ago. Technology and infrastructure-wise, we’re in a much better position to make QR codes work properly as a link between the online and offline worlds, something that brands have been trying to crack for years and years. You might ask why we can’t just use Near-Field Communication for mobile payments, or AR apps to create interactive mobile marketing experiences in the offline world – why bother with the outdated technology of QR codes when we have other options? My question is, why not have all three? NFC and AR can exist alongside QR codes, and anything that gets consumers used to interfacing with the offline world using their smartphones benefits the uptake of all of these. If we’re truly becoming a mobile society, why should we limit ourselves to just one or two methods of linking the online and offline worlds via our smartphones? If anything, it makes sense to have as much choice as possible.